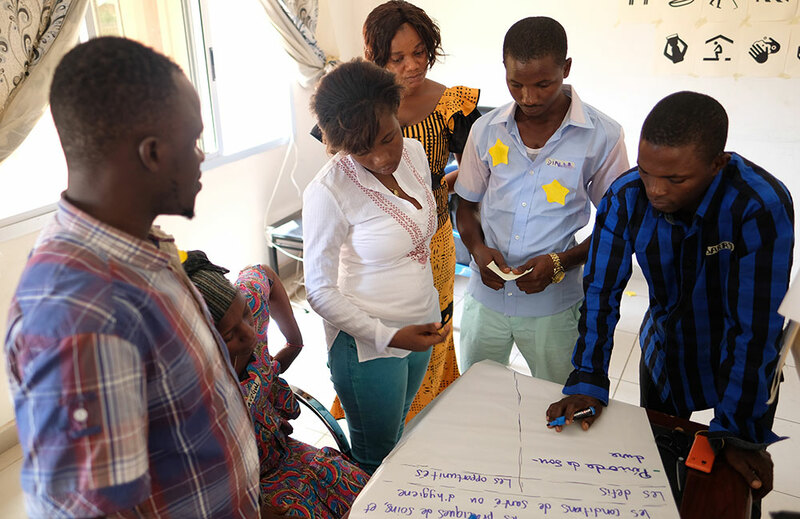 In Guinea, SPRING is promoting nutrition-sensitive agriculture and maternal, infant, and young child nutrition (MIYCN) practices through radio programs and community videos. 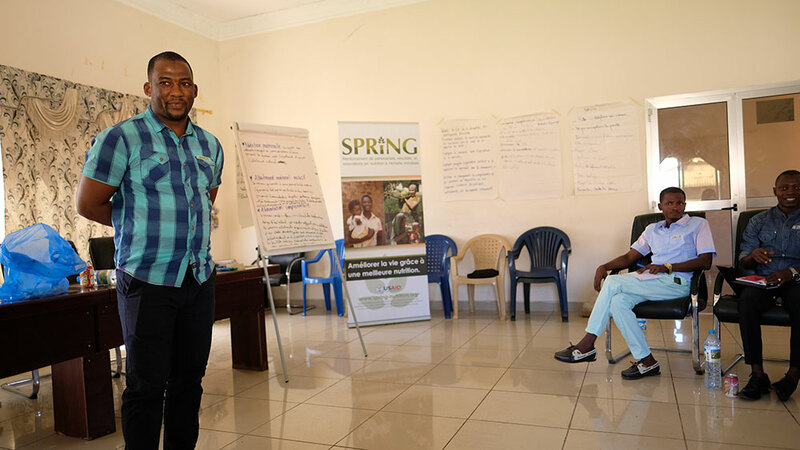 SPRING recently held a two-day training on these topics with staff from local radio and video production centers. 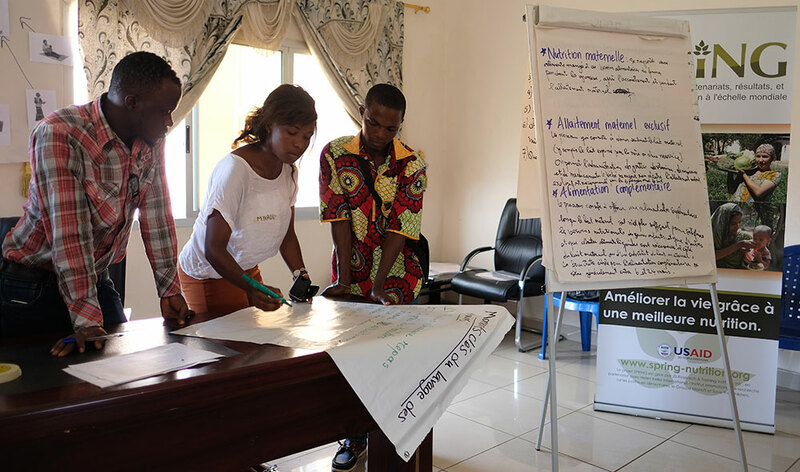 During the training, participants explored how to break the cycle of malnutrition, methods for making local agricultural practices more nutrition-sensitive, and their roles as agents of change in their communities. 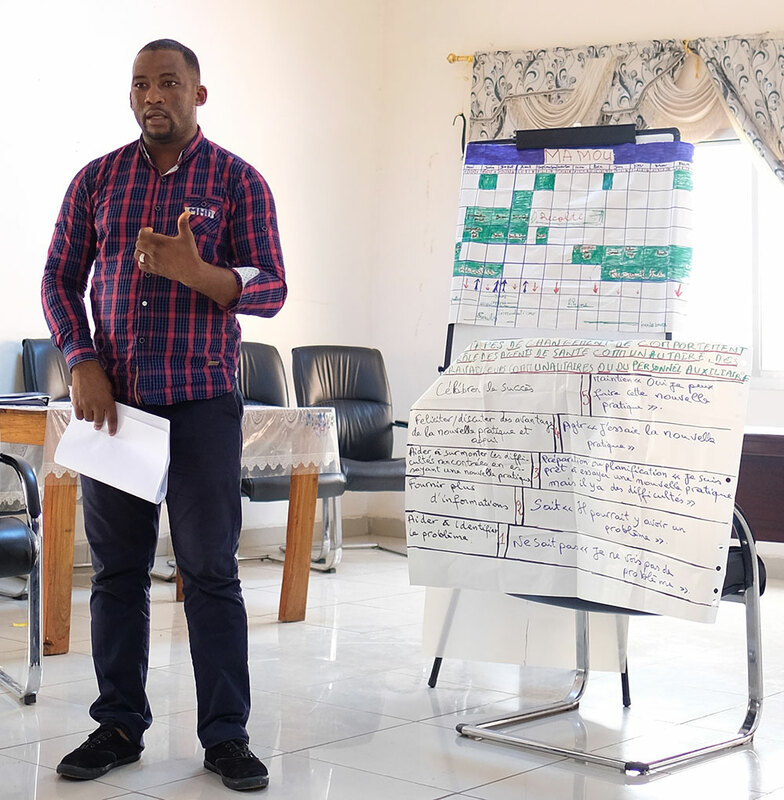 Participants will apply the lessons learned from this training to future radio spots and community videos promoting accurate MIYCN and nutrition-sensitive agriculture practices. Mamadou Hady Diallo, SPRING/Guinea Technical Director, introduces the workshop. 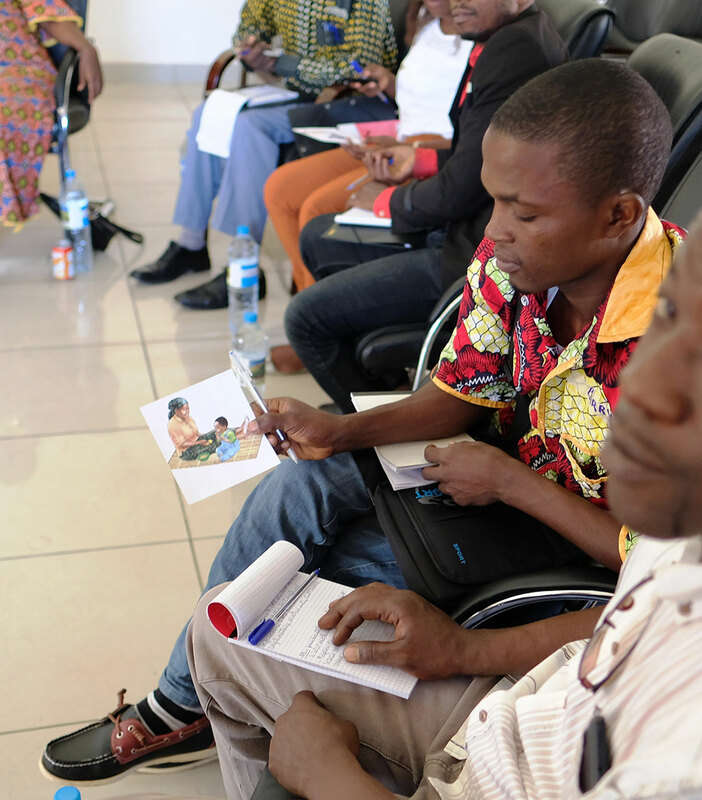 Participants discuss images depicting the first 1000 days of a child’s life. 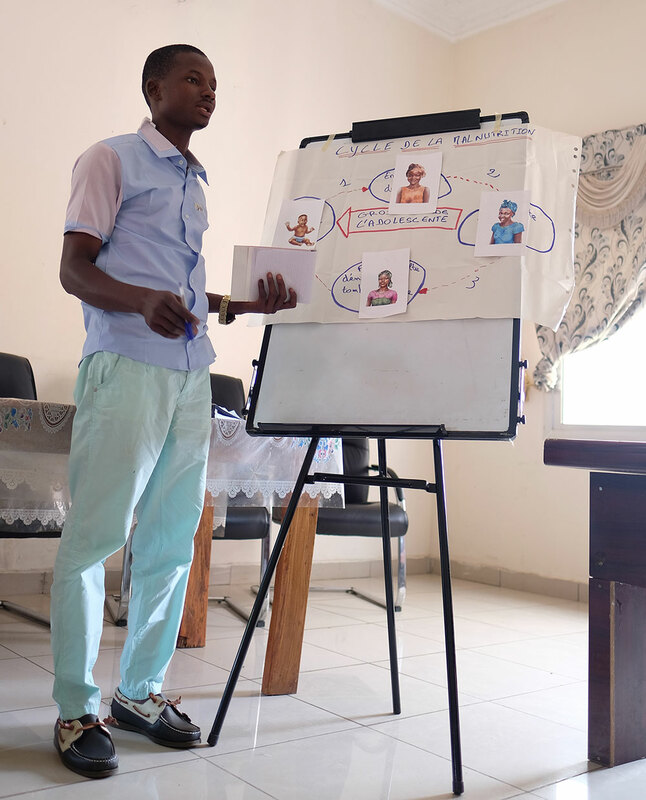 A participant, Ibrahima, shares his group’s work on identifying a stage of the first 1000 days. Participants discuss what factors contribute to a healthy mother. 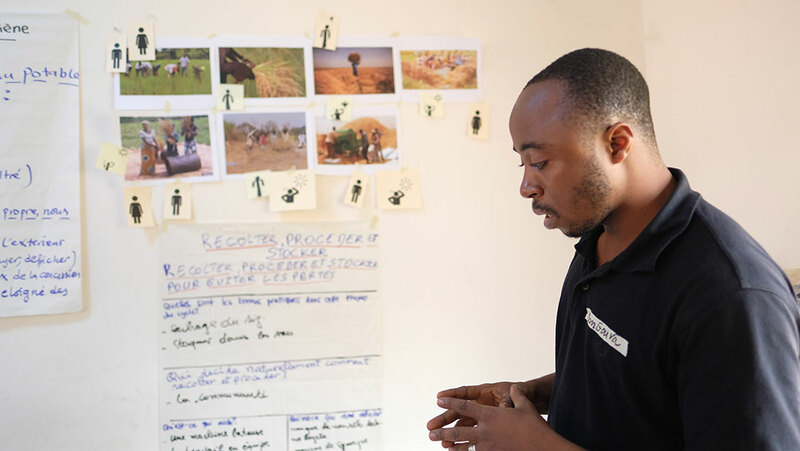 A participant, Diallo, examines how to break the cycle of malnutrition. 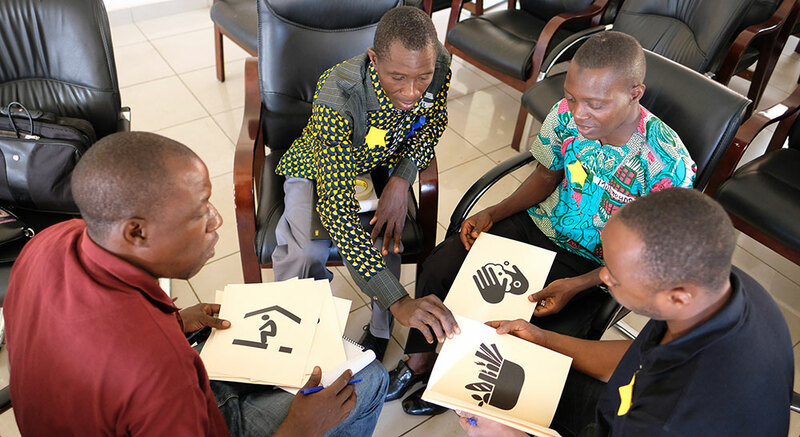 Participants identify the key moments for handwashing. 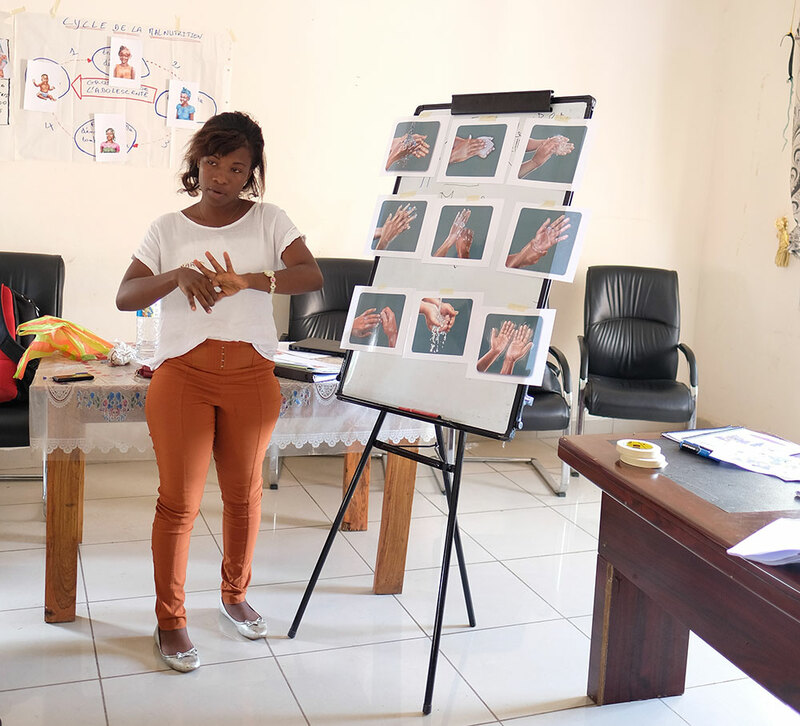 A participant, Marie, demonstrates proper handwashing techniques. Participants discuss the connection between agriculture and nutrition. 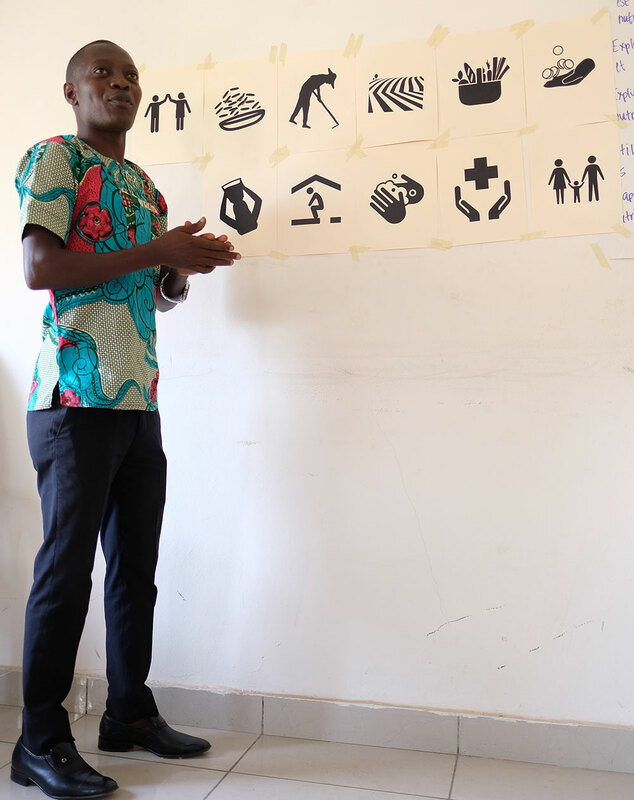 A participant, Millimounda, shares how his group views the connection between agriculture and nutrition. 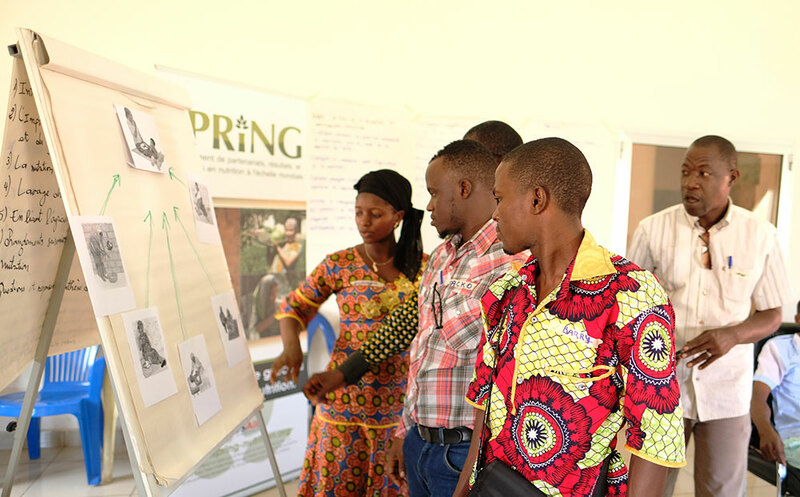 Using a local seasonal calendar, participants consider the opportunities and challenges to nutrition throughout the year. A participant, Barry, presents his group’s work on agricultural technologies in the local rice value chain. A participant, Bangouya, shares his group’s work on agricultural technologies in the local rice value chain. 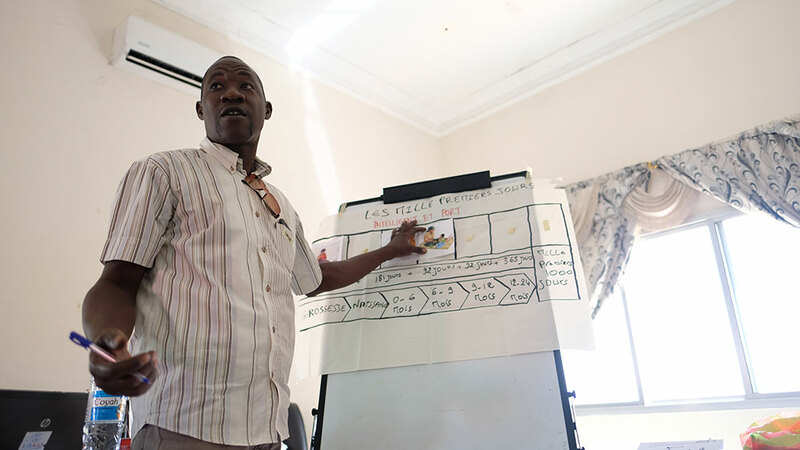 Mamadou Hady Diallo, SPRING/Guinea Technical Director, presents the key steps in behavior change. All of the workshop participants display their completion certificates.